A Love That Listens to You – David Crews Ph.D.
Dietrich Bonhoeffer said, “listening is the mark of true love.” Nothing is more comforting to know that you are being heard and your feelings and opinions matter to the one who loves you. Being able to listen to others is a secret to lasting and healthy relationships be it friendship or marriage. Our Heavenly Father is the cosmic Expert at listening to us. You’ll never find Him too busy to not hear us. In fact, He demonstrates His ongoing love for us by speaking through His Word and listening to our voice daily. It’s definitely a two-way street. But beyond the words we utter, our Heavenly Father hears the hurt in our spirit. He keenly senses the frustration and confusion of our soul. He knows exactly what we are thinking long before we even think it. That is an awesome Listener, if you ask me. You’ll never find a better listener, in this life, than the Lord Jesus Christ. In spite of the fact that He is the greatest Being in the entire universe, He will never put you on hold or send your prayer request off in a distant voicemail. In addition, He not only hears us, but He also walks with us. Because of the love relationship He initiated from the cross, God is not content to just hear us, He desires to walk with us through the valleys and the mountaintops of our life. Even when we are not on our best behavior, when thoughts and words come out of us that should never, Jesus won’t refuse to hear us. You’ll never find a greater, more patient listener then Him. He responds to us like a cherished Lover who longs for us to know how very much He cares and loves us beyond our wildest dreams! Since you are deeply loved by God Himself, please take that as a “motivational incentive” to pour your heart out to Him today and tomorrow and every day of the rest of your life! Your Creator and Redeemer loves to hear from you. As a published author, David's first book was "A Comparative Analysis of Theological and Psychological Worldview Perspectives" (Scholar's Press, 2018). His second book, "Union with Christ for Today," followed it's release. David holds two earned Doctorates; a Ph.D. in Philosophy and a D.Th. Doctorate in Theology. He also graduated with Honors with two additional, earned degrees, two Master's degrees (M.A.) 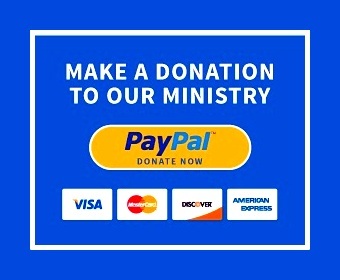 Additionally, he has pursued Post-Doctorate Studies in Archeology and Ancient History from Oxford University and the London School of Theology in the U.K. Visit our Facebook Page @ https://www.facebook.com/davidcrewsauthor/	View all posts by David Crews Ph.D.
We greatly appreciate your ministry financial gift and support to help us defray the necessary production and publishing costs of our teaching ministry in reaching the globe for God in Christ through the Good News! David Crews Ph.D. Powered by WordPress.com.